The following resources are just some of the Quaker-related resources available to Young Friends. Please do not hesitate to contact E&O (CYM Education & Outreach Committee) for more information or support! Cost: Free for Canadian Young Friends. Travel to Camp NeeKauNis (Georgian Bay, Ontario) is required and financial assistance is available. An Atlantic Canada Young Friend Regional Contact is being sought. Please contact the YF Regional Contacts if you know someone or are interested in serving in this capacity! Young Adult Friends and seekers (ages 18-35) are invited to Pendle Hill’s annual intensive six-day conference – Continuing Revolution – which is designed to strengthen a networked generation of awakened and effective, spiritually-grounded change agents. Cost: $325 USD (about $415 CND), with financial assistance available. Travel to Pennsylvania is required. Woodbrooke is a space for those aged 18-35 to engage in spiritual connection, exploration and deepening. It offers opportunities to explore spiritual practice, including through creativity, contemplation, music and words. Cost: £240-345 (about $410-590 CND) Travel to England required. E&O offers Fall, Winter and Spring e-courses based on interest and registration numbers. These courses are free of charge! Contact E&O to be put on the online course mailing list! The Ben Lomond Centre in Northern California offers a variety of year-round educational opportunities. Check out their 2018 Program Calendar for more information! They also hold daily online Meeting for Worship at 7:30pm Pacific. E&O wants to support you! Need help with finding Quaker resources? Contact us! Apply to E&O for support with Quaker-related studies and/or travel. Want to get involved in, support or suggest E&O initiatives? Contact us! E&O’s winter semester courses begin this January — the registration deadline is December 15! How did Quaker faith come to be based on direct experience rather than authority? How can a Quaker community nurture how we live, work, worship, and make decisions? 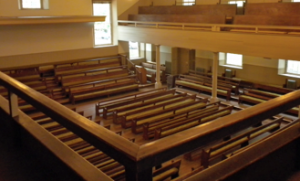 Introduction to Quakers and Friends’ Ways is a free online course that explores the origin of Quaker testimonies, such as the traditional peace testimony and testimony of equality, in Canadian Friends’ history and beyond. It also invites participants to deepen their understanding of the role of Monthly Meetings in Quaker life. 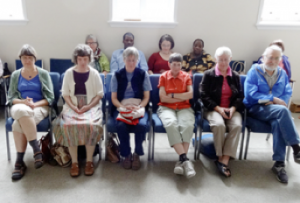 New attenders as well as experienced Friends will find opportunities to grow in this course, which meets online once per week for 6 weeks starting in mid-January. Arwen Brenneman, an experienced facilitator from Vancouver Monthly Meeting. She been part of the Quaker community most of her life and has a background in information technology. She recently joined Education and Outreach’s list of contract course facilitators, and looks forward to teaching her first online course this winter!